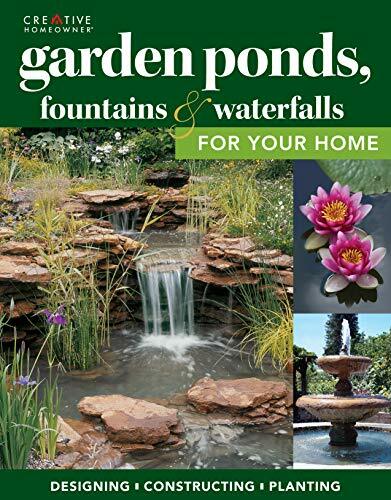 Garden ponds range from very smart water features with a fountain down to the small and simple one found in allotment sites and small gardens. They can be purely ornamental or they can contain a variety of plants and/or wild creatures.Some elaborate ones require professional skills all the way,but simpler ones can be made by an amateur, as long as basic safety precautions are taken. 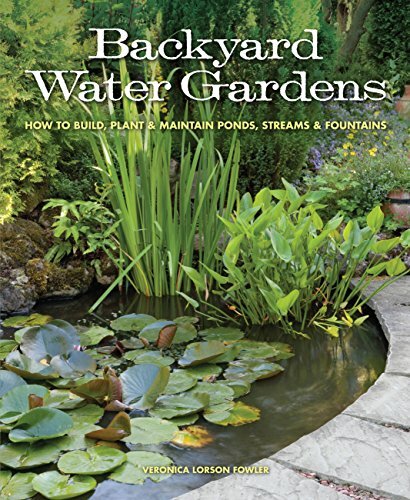 Whatever the size of the pond, it can contribute to the well being of your garden. I have a simply made and quite small pond on my allotment. It is not deep, it cannot be, for I dug it in the fruit tree section of my plot and tree roots got in the way of my digging too far down. I constructed it out of a tarpaulin, a hole and obviously water, along with a dollop of frogspawn that I managed to acquire one Spring some years ago, and I have had frogs every year since then. The frogs, which occasionally surprise visitors by leaping out, serve an important function of eating slugs that would otherwise attack my crops. But you hardly see the frogs, for they hunt in the compost heap, the cabbage beds and the greenhouses during the day. However,they delighted my three year old grand-daughter when she visited and saw a large, fat frog. I do think, though, that once we were visited by a heron that was too heavy for the tree branch on which it perched as it searched for frogs, and consequently broke it. The hole can be simple, but it can also be of differing depths to cater for a variety of plants, but it must be watertight. In the past farmers digging dew ponds used to use puddled clay, which is clay that has been soaked and beaten into a paste that is smeared around the base and sides of the pond and allowed to set solid. It's watertight, but messy. You can use concrete, but the simple and effective way is to use a pond liner. 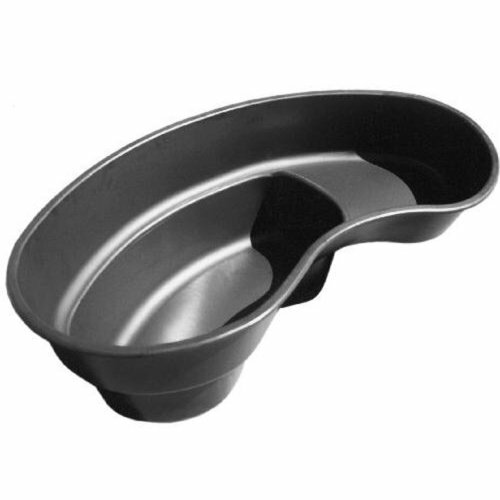 First ensure that the hole has no sharp stones that can puncture the liner. Doing this involves clearing bottom and sides of any debris, however small. Some pond makers add a layer of fine [not gritty] sand, but this does not protect the sides. Then begin with a piece of pond underlay. To determine the area needed work out the total area of pond and sides and double it. This is the area of underlay that you need. It will extend over the sides. Smooth it out and press it down into the corners of the pond. Then take exactly the same sized piece of butyl pond liner, laying it down to cover the underlay. The exposed area of liner is then covered with soil or gravel to landscape the feature. Soil is preferable as it allows pondside plants to grow, and this creates a more natural pond. You can then fill up your pond. Here is an essential word of warning. If you are installing an electrical pump, get it installed by a properly qualified electrician. Electricity and water are a dangerous combination. Another word of warning. Children. Ponds are dangerous for young children, as it is possible to drown in an inch or less of water. I put a safety grill over part of my pond, allowing enough space for the frogs to come and go. When children visit the pond they are always supervised. My pond is small and functional, not ornamental.and is concealed among trees. It is part of my pest control strategy, as I wanted to attract frogs to eat the slugs.It has worked quite nicely. To attract frogs I simply applied the principle that frogs like to return to their birth place to give birth, so I salvaged some frog spawn from a pool in a tarpaulin and transferred it to my pond. I also have compost heaps where the frogs can happily forage and spend the night. Result: tadpoles every year and happy, well-fed frogs. Mind you, the vixen that I spotted a few days ago near my compost heap is not averse to eating a frog or two. Food chains! If you want frogs and newts, good luck. The newts will need a large pond where there are hiding places, as frogs and toads regard newts as a tasty snack. Furthermore, tadpoles will cannibalise other tadpoles, so not all your tadpoles will survive to adulthood. Animals need a food supply; frogs can obtain it by foraging, but fish need to have food in the water, so if you are keeping fish in a pond ensure that you either give them a regular feed or put in a place plants on which they can feed. 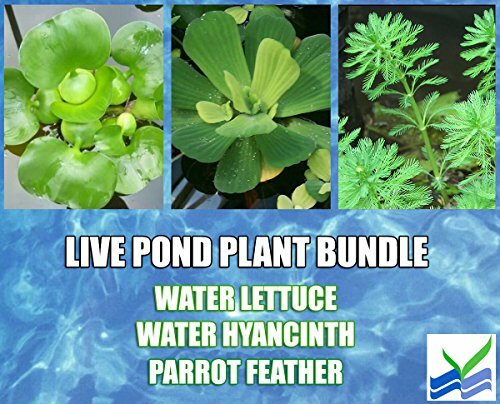 You may want a clear water pond, but you might decide to have pond plants. Reeds and sedges can be planted around the edges of the pond, as can flag irises. It helps if you have a pond with varying depths, such as one whose depth descends in steps. 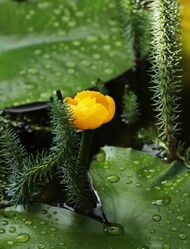 Water lilies have to be selected according to the depth of your pond. White water lilies need water of a metre depth, but yellow varieties need much deeper water, even up to five metres. The traditional way to plant them is to plant them in their containers, which are lowered into the water. 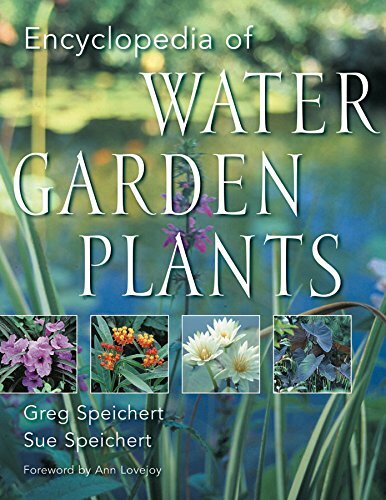 There are so many interesting water plants that you will have a good variety from which to choose. 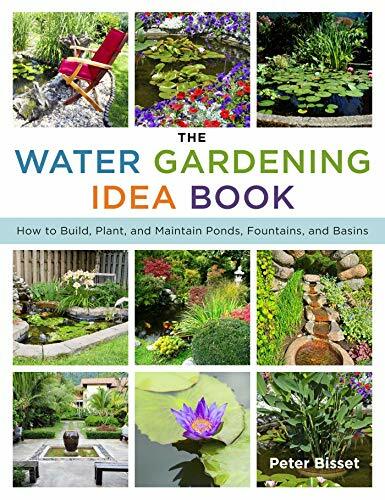 It is always possible to link a pond to a bog garden, and to do this you need to dig a shallow area on the edge of the pond and allow the water to spill over into it.In a sense, in any pond whose depth goes down in steps the bog garden is an optional first step. The sides of the bog should be surrounded by banks that contain the water. In this bog garden you can grow bogland plants, such as cranberry and insectivorous plants such as sundew. The maintenance of the water feature involves preventing it from filling up with soil and leaves that are washed in or fall into it. This task is better performed in late Fall or early winter after the last leaves have fallen. The frogs will not be affected, as they do not live in ponds, but prefer the warmth of the compost heap in winter time. My small pond can be cleared with a trowel. But there is an important rule, which is that you should leave the detritus on the side of the pond for a day or two, as this way any small creatures that you inadvertently dredge out can find their way back to the water. After a couple of days the muddy waste can go onto the compost heap. It is important to maintain water and oxygen levels. The water level is likely to drop in hot summer periods and this is especially so in ponds that have no running water supply. 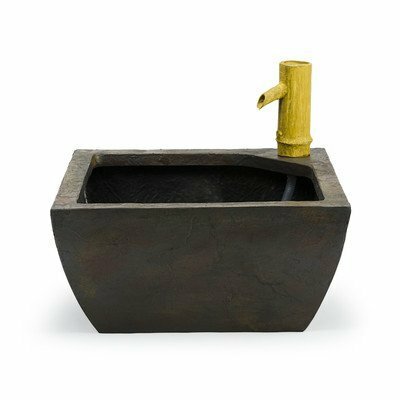 You need to ensure that you have a refilling routine in place, and you should not overlook keeping the bog garden moist. In hot summers there can be a hosepipe ban, and this can cause problems for those with ponds. There is no easy answer to this problem, but the availability of water stored in butts can help. 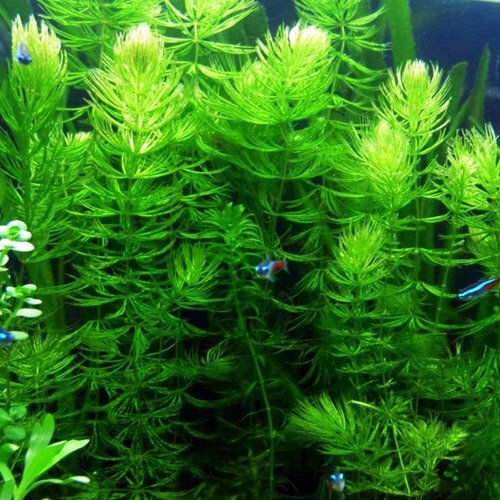 A drop in oxygen levels can be fatal for fish, and it can be caused by the presence of water weeds such as duckweed and Canadian pond weed, which is causing some problems in British garden ponds. It is very important that such weeds be kept down. A darkening agent can be added to the water so as to deprive the weed of light, but it can be manually extracted in a small pond. Avoid using poisonous chemicals, which might linger in the water and do long term damage to plants or animals. Oxygen can be added by disturbing the surface of the water, for the splashing locks oxygen into the liquid. I like to use a watering can with a rose to do the refilling, as this behaves like raindrops on the surface. Rainwater is preferable to mains water for any garden watering,as it is not chlorinated. Having a well-maintained pond in your garden adds greatly to your enjoyment of it, as it provides an extra dimension to your garden, adds an opportunity for wildlife to thrive and can provide a valuable element in a thorough system of integrated pest management. Sitting by the pond for a picnic is a delightful element in the garden lifestyle. A pond has much to recommend it. A small pond was better than no pond. One precaution in my area is that if you have a fish pond, beware of herons, which are common round here. We are close the following waterways: the Bridgewater Canal, the Manchester Ship Canal and the River Mersey. There was much scope for herons, so they went for the fish, fed, bred and spread. Soon they began to raid ornamental fish ponds in gardens. Valuable ornamental carp disappeared down their gullets. Every person should try to incorporate nature into their environment, even if they don't have much room like you. Even people in apartments can grow plants to attract butterflies or feed birds. Thanks for this article. Not everyone thinks of making a pond on such a small scale. I am delighted with your response. I really enjoyed this, and learned quite a few important things. Rain gardens are a good idea that enables gardeners to make the most of urban spaces. FrankBeswick, Thank you for the practicalities and products. The tips all are welcome, especially the helpful reminder about the waterer with a rose. What do you think of rain gardens? I have all four of the books that you include and find them correct, inspiring and pretty. 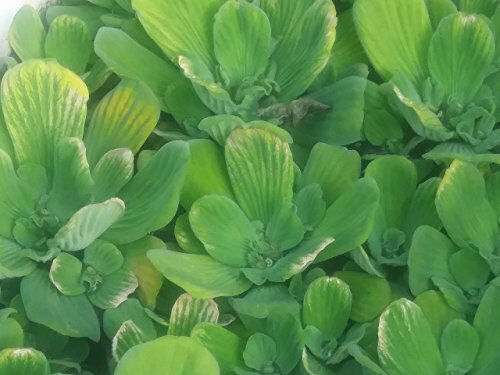 Is invasive status not in effect regarding parrot feather, water hyacinth and water lettuce on your side of the pond? What you said about clean water was essential and very relevant. Where I live refreshment of ponds by rain works for much of the year, but not in Summer. As you originated in Britain, so I recall, you will know that my area[South Lancashire], is prone to rain. But what you said about wildlife other than birds coming to the birdbath strikes a chord with me, because I have just realized that as mine is the only pond on the allotment site the foxes must come to it to drink. This tells me that I need to pay attention to the water levels to a greater degree than I thought. I don't like the idea of an animal going thirsty. My sister has a pond, and I believe there are frogs that enjoy it. We only have a birdbath, quite large made from a rock with added concrete. It is enjoyed by more wildlife than just birds, and our cats! But mosquitoes can be a problem if we don't keep refilling it with clean water. Mosquitoes are not a problem in my area,and if there are any they will be few. In Britain we have midges in a wide swathe across the country, though further north than where I Iive. I do not know of any allotments where there are facilities sufficient for hydroponics. While fast growing plants can help you achieve a great looking landscape quickly, there are hazards to consider as well.